The recovery of world economy witnesses some fluctuation as it is embracing in critical period of a shift from old to new momentum of growth. 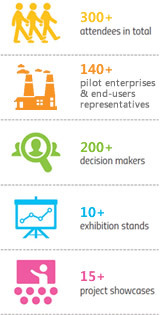 Featured by intelligent connectivity among human, machine and resources, the production and development mode as well as the industrial ecosystem of manufacturing industries are undergoing profound dynamics. 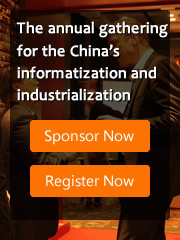 Since the State Council issued Made in China 2025 strategy in 2015, it has been vigorously promoting in-depth fusion of information technology and manufacturing technology, and accelerating the transition and upgrading of manufacturing industry by shifting its gears towards intelligent manufacturing as the main direction. In 2016, China's industrial economy is stabilizing and moving towards a good trend. In the 13th Five-year Plan period, we will firmly work out and implement the five new philosophies of development, and shift from made in China to create in China with strategic objective to turn strong out of big. In the face of a new round of rising technological and industrial revolution, we will continue to implement opening-up strategy and improve the level of industrial openness to the outside world, and meanwhile encourage competent enterprises to "go out" and carry out international capacity and equipment manufacturing cooperation. 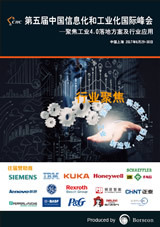 Based on four successful predecessors, the 5th China International Informatization & Industrialization Summit ----focus on the implementation plan and industry application of industry 4.0 will be held in Shanghai on 29-30 June 2017.This conference will focus on details if the industry 4.0 implementation plan and its applications in different industries according to the status of China's manufacturing transformation and upgrading. It also serves as an international platform for all guests to display new offering, exchange new technologies, tap into potential cooperation in new areas and share development experience with each other to seek a new chapter of common development and promote prosperous development of global industry. The awards ceremony of the 5th China International Informatization & Industrialization Summit 2017 will be held on June 29th , 2017. It aims to honor the excellent enterprises and individuals who make great contributions to industry 4.0 and to build new role models for industrial development. The awards ceremony will attract a collection over 300 celebrities of industry 4.0 and over 10 medias who will report the spectacular event. This awards ceremony will be an ideal platform for marketing. Just bring your customers, your latest projects as well as your team that you are highly proud of to be engaged in the competition, to get exposed, to win the honors and to seize the market! Ready for the spotlights? Welcome to CIIC. 2 Submission of application form: Please send the completed application form to lisa. lisa.tong@borscon.com before June 9th , 2017. 3 Judges review: From April 23, 2017 to June 12, 2017, the Judge Committee will screen and review all the submitted application documentations based on the principles of independence, justice and confidentiality. 4 Announcement of waiting list: On June 26th , waiting list of award winners will be published in the news release and the summit official website. 5 Announcement of award winner list: On June 29th , final award winner list will be announced during the awards ceremony. A very successful summit, built up a platform for industry better communication in the future, expectation of market, solved users' problem, learnt more when we face the challenge, informative comprehensive content, wish it become better and better! It's a very successful summit, integrated first- class robot supplier and industrial experts together, provide us a very wonderful Interaction platform. The official website of The 5th China Int'l Informatization and Industrialization Summit & Indepth Integration of Manufacturing and Internet .